There are scores of places opening in the city every week with similar cuisines & menus on board, so how does one really differentiate a dining experience? The beauty of a themed restaurant transports you to a particular belief, passion or idea which the entire restaurant is enveloped by. 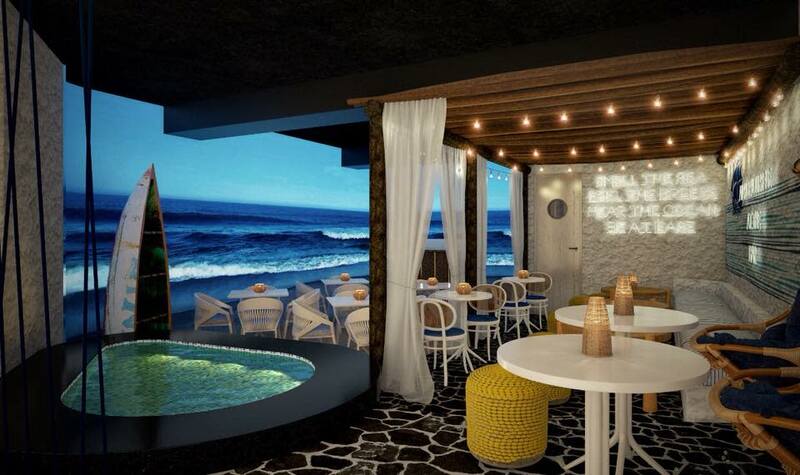 Here, we narrow down some of our favourite themed-restaurants in town with the 'wow' factor! The Hogwarts Cafe is a haven for all the Potterheads in town. 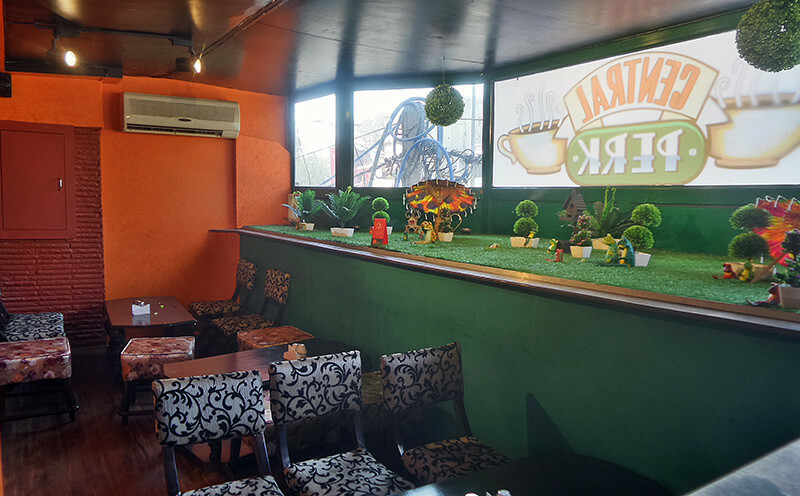 This li’l eatery in Rohini is a Harry Potter-themed cafe where you can spot tiny details about the series all over the place, and the best bit is that they even serve their food with a wand to add all them wizardry feels. And that’s not all, even the menu of this place is heavily inspired by the iconic book series for they even serve Frozen Butterbeer. So, embrace your inner nerd and head to this place RN! 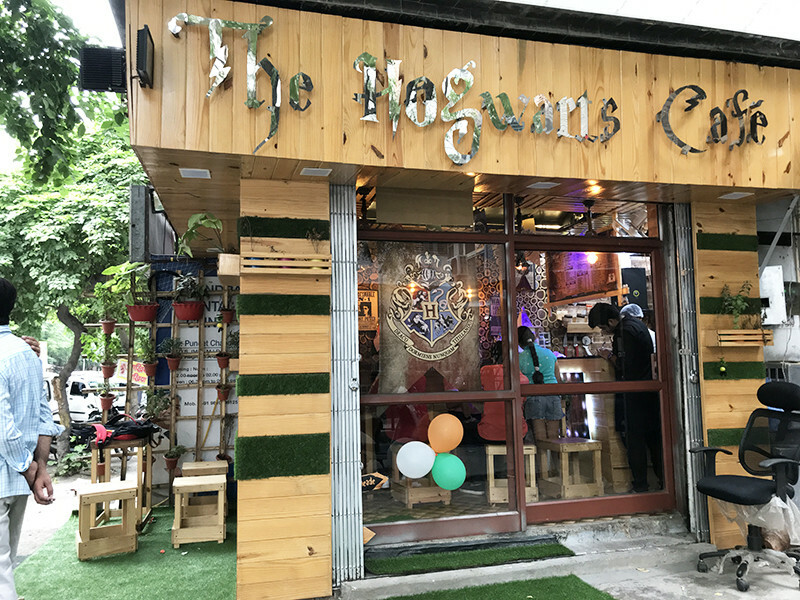 Here’s Everything We Tried On Our Trip Down To The Hogwarts Cafe | 6 Things To Try Like Butterbeer, Dragon Eggs & More @ This Harry Potter Themed Cafe In Rohini! If horror is your preferred genre, then Just Behind U is where you need to drop by for some spooky time. 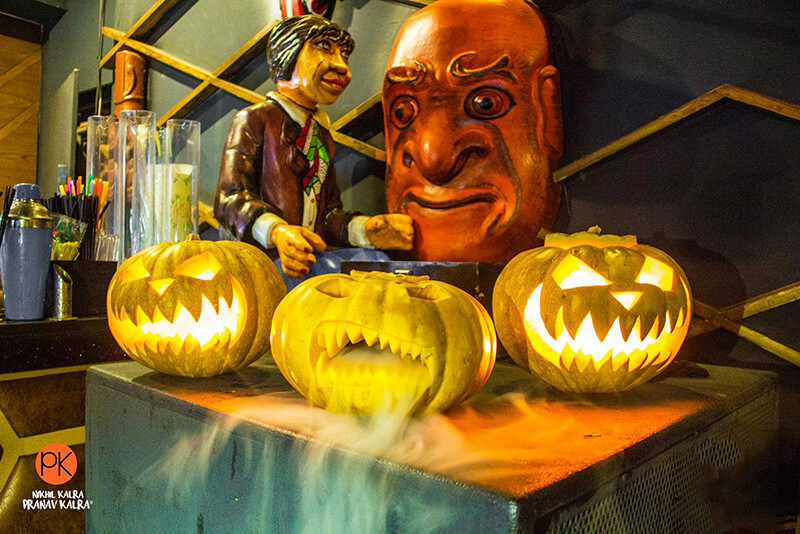 The walls of this place are adorned with dancing skeletons, scary jokers behind bars and even chained coffins. 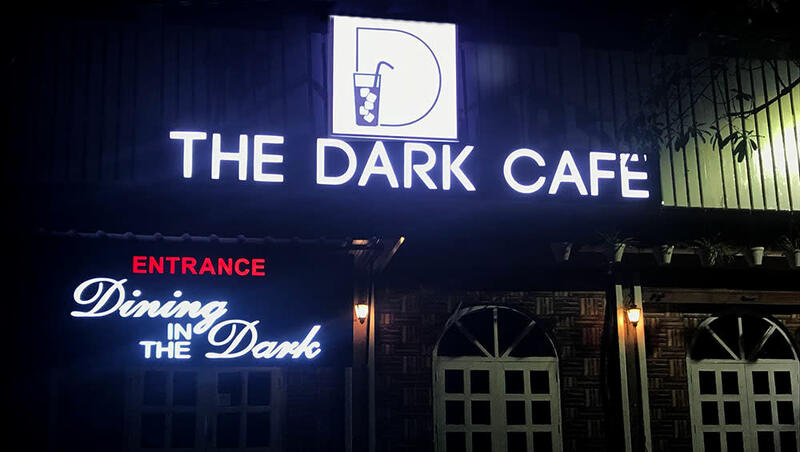 So, if you’re bored of your usual hangout places, then head to this restaurant in Rajouri Garden for your next squad meet up! If you and your bae are always up for a new experience, then you’ve gotta try out the fiesta themed SouthPoint Carnival in GGN. 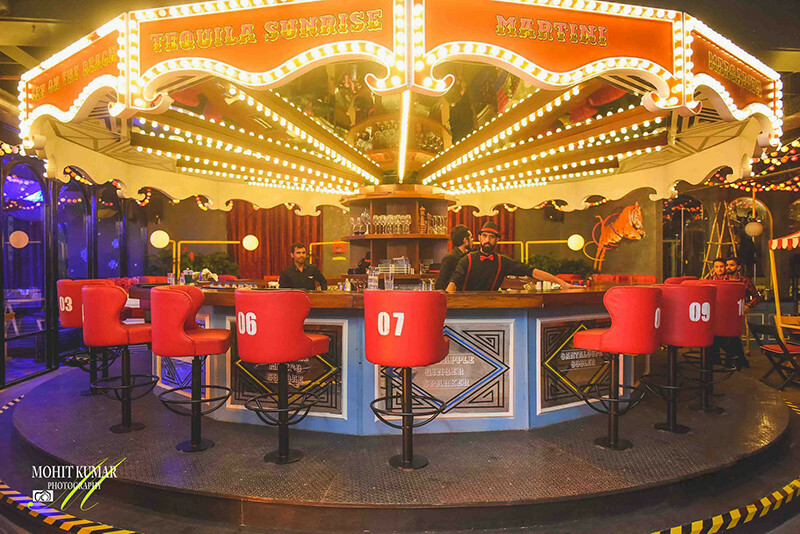 Right from fun ride-like seating to a carousel shaped bar, this place will surely transport you to your fun place. While you’re here, don’t forget to gobble down their Chicken Tikka Pizza and Carnival Mutton because they look all things yummy! Ever wondered what it’s like to be locked up in a cell and then being served food? Sounds weird but exciting, right? 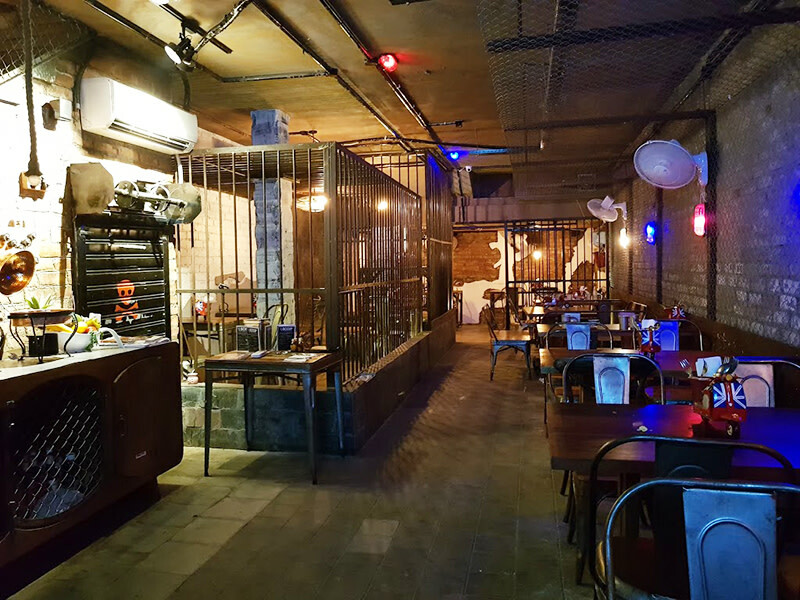 Well Lockup - The Restaurant in Gurgaon will give you this quirky experience because this place actually has jail cells, where you can sit with your buddies and they’d serve you their yummy Chicken Curry, Dahi Ke Kebab and even Farmhouse Pizza inside like a prisoner, how cool is that?! 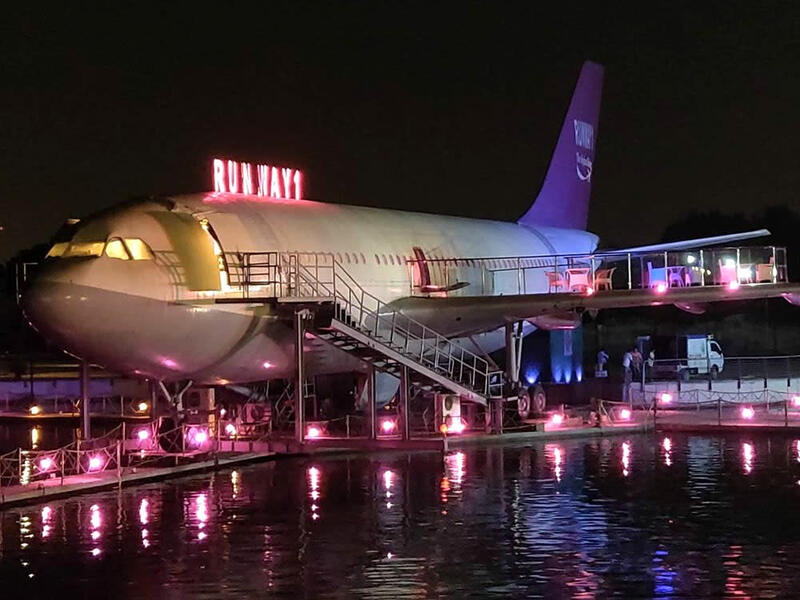 Delhi recently got an airplane for a restaurant in Rohini’s Sector 10 and it looks LIT AF. Yes, you can actually sit and eat inside and even on the wings of the plane with your bae and have a great time. So, fasten your seatbelts and have a safe flight and (obviously) gorge on all the yummies here! Our beloved Hudson Lane has a cafe called The Dark Cafe that’s well, always dark! The place isn’t spooky, scary dark but quite the opposite. It’s filled with neon decor so you don’t bump into your buddies. And coming to the most ah-mazing part of this cafe, these guys also serve a drink called Glow In The Dark that actually glows! So, call in your bestie and head here for a fun evening. Do we really need to explain this one? This F.R.I.E.N.D.S. themed cafe in Hudson Lane is just where you need to head to after those long boring lectures and sip away their frothy coffee while hogging on their Ross Special Sandwich. 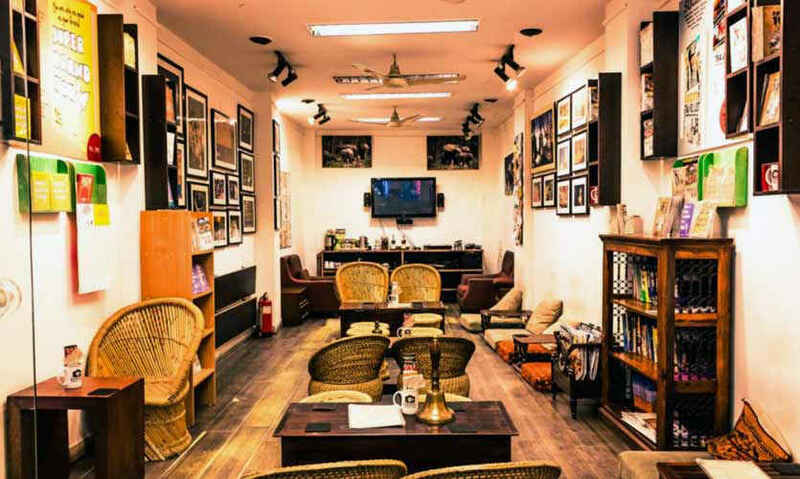 Right from their ‘Central Perk’ painted window to their interiors, this place will defo transport you to the good ol’ days of your beloved television series! 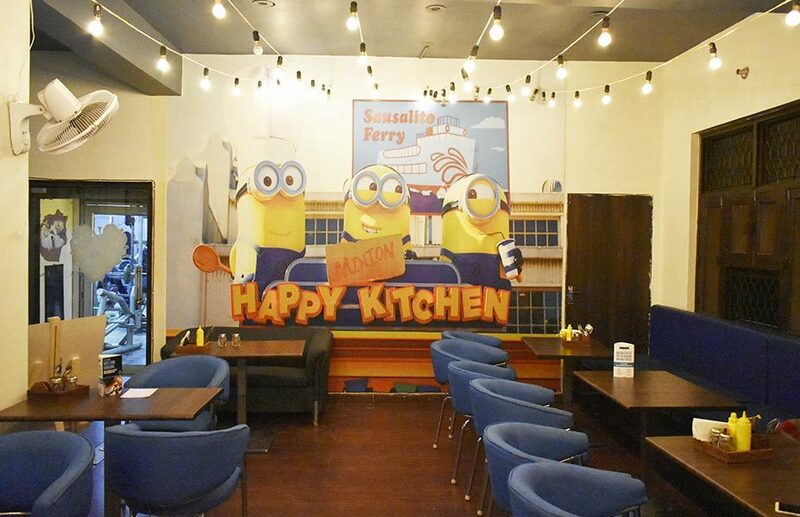 If you’re in love with cutesy, cylindrical, yellow-hued Minions like we are, then you’ve gotta head to The Minnions Cafe in Laxmi Nagar. Dedicated to our fave animated cartoons of the recent times, this cafe has a gaming area where you can play video games with your buddies while devouring their Chicken Samosa and slurping on their Nutella shake! Want some seaside vibes, right here in Delhi? Then, By The Bay is just where you need to stop your wagons at. This beach-themed cafe has a shack-like bar with pretty swing chairs, a little swimming pool and an overall chill ambience that’ll make you fall in love with the place. So, head here with you buddies and make up for all the cancelled Goa plans and devour their Hilarious Hippy Pizza! 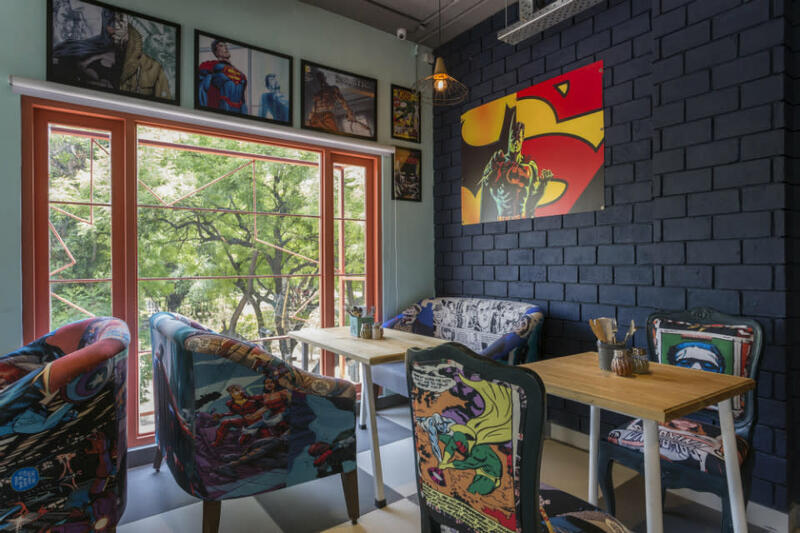 This restaurant will truly appeal to the X-Gen with its comic themed set-up where you can kick-back and enjoy a good ol’ comic book from their shelves. So, if you’re a fan of Superman, Batman, Iron Man and the like, but also love to grab a mug of beer or eat burgers like the lesser mortals, this is where the buck stops! This cafe is designed around the theme of travel and is a platform where travellers who have visited different parts of the world can meet in person and share their experiences. If you just want to bury yourself in the captivating world of travel books and travelogues, you can do that too with their collection of books alongside delicious coffee and free Wi-Fi. Overall, it’s a great place to unwind with your friends on weekends! Pretty cool, eh? So, where are you heading with your squad this weekend?